I hold sacred space for you to embrace your own power, confidently tap into your inner wisdom, and love yourself more fully so you can radiate that love into the world. I support women and girls on their path of discovery, through creative and spiritual experiences that deepen the connection to the wise, passionate, creative, and powerfully Divine Self within you. 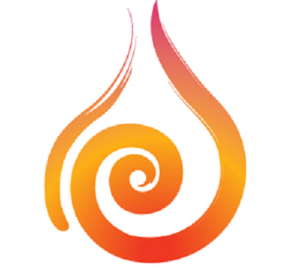 In all of my group events and one-on-one Creatively Fit Coaching sessions, I weave together art, writing, ceremony, energywork, visualization, meditation, and sound to guide you on this journey of LOVE. and courageously make new choices so I can live the life I want to live. A multi-session workshop over weeks or a deeper immersion over a 3-5 day retreat. Come Home to Your Self explores our sense of self, where we fit in relation to others, and how we desire to not just grow, but blossom, into who we desire to be. Meditation, art journaling (no experience needed), writing, movement, sound, and conversation are just some of the ways we will connect with our essential being, hear our inner wisdom, and confidently take the steps in the direction we want to go. A recurring workshop with a different focus each session. Using creativity, intuitive experiences, meditation, visualizations, storytelling, movement, and sound, we will explore a range of meaningful topics that nourish, inspire, and empower. Topics include beauty, self-love, wisdom, trust, gratitude, harmony/balance, playfulness, clarity, passion, and joy among many others. A relaxed, mindful approach to creativity that uses colors, words, and mark-making to build layers that reveal personal meaning for the artist. Focus on process rather than product. Creative expression is a practice that guides one further on the path of self-discovery. “Earth our body, Water our blood, Air our breath, and Fire our spirit”. The elements connect us to nature, the cosmos, other beings, and ultimately to our own essence. Gain a more intimate understanding of life as a Divine Elemental Being having a human experience through creative and intuitive activities, ritual, ceremony, sound, movement, and guided visualizations. We delve deeply into Air (Clarity), Fire (Passion), Water (Trust), Earth (Wisdom) and Spirit (Balance and Harmony). Designed for those who desire a connection between creativity, nature, and the Divine. Setting the intention to FOLLOW YES has changed my life in many ways- and continues to do so! There is great power in making decisions from a place of knowing and discernment! I share techniques that distinguish the fear-focused aspect of you who tries to keep you small from the love-focused aspect of you who wants you to not just grow… but THRIVE! Your inner wisdom will come through more clearly and find expression on the canvas. By this simple act of creation, you will set things in motion to manifest what you desire. My certification through Whitney Freya’s Creatively Fit Coaching program gives me the tools to guide clients across the bridge from fear to love. Fear of failure, of making a mistake, of not being enough, or of being seen can hold us back from the life we desire. When clients paint using the intuitive painting practice (among other things), the canvas becomes a portal that opens and provides clarity. Tap into the energy of abundance and limitless possibilities! You are a multidimensional being with the power to release what no longer serves and set the intention to focus on what you want your life to be! This program worked for me and I wholeheartedly believe it will work for you. Contact me for free introductory session. Anita Diamant’s book, The Red Tent, has inspired a grassroots movement led by many visionary women around the world. 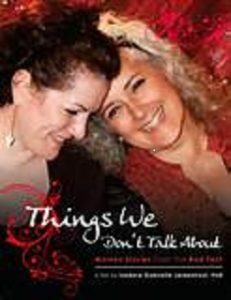 I was inspired to host Red Tent events after learning of ALisa Starkweather, founder of the Red Tent Temple Movement, and Dr. Isadora Leidenfrost, director of the documentary “Things We Don’t Talk About: Women’s Stories from the Red Tent“. To quote the Red Temple Movement website, the Red Tent is a way “for women to take our inner momentum…and come forward with everything we are as women and give us a place to incubate, dream, slow down, and not have an agenda or plan.” It is a sacred space “where we can share stories, laughter, songs, food, and honor our unique cycles that we experience each month in our bleeding time and in our going through menopause and the many years leading up to it.” ALisa goes on to add, “Inside the Red Tent, we give ourselves time to remember who we are at our very core,… we must turn from our identities and roles towards the innermost temple of our own hearts. Come into the Red Tent and stop for a breath and to be in your body. In the quiet and sometimes celebratory company of wonderful women, feel. 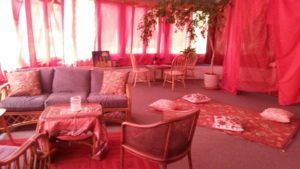 In what you feel, there is much that is waiting for you.” I am registered on the Red Tent Movie website as the facilitator for Red Tents in southcentral Pennsylvania. Once I saw this movie, I knew I had to bring it to as many women as possible. On the Red Tent Movie website, it says, “Things We Don’t Talk About weaves together healing narratives from inside the Red Tent to shine a spotlight on this vital, emergent women’s tradition. The film provides us an opportunity to remember, to listen, to know, and to find what it is we need to bring back to our communities to help awaken the voices of women.” Schedule a screening followed by conversation or consider combining a screening with a Red Tent experience. Honor the Divine Feminine within each of us and connect more deeply to your Self. After hosting several screenings of Dr. Isadora Leidenfrost’s documentary, “Things We Don’t Talk About: Women’s Stories from the Red Tent”, I had the great fortune of inviting her to York Pennsylvania where we co-hosted a very special screening and Red Tent event. She is a warm, intelligent, empowered woman who uses her voice to enlight, educate, and empower others. Imagine a world where girls grow with personal power, sovereignty over her own body, a broad understanding of beauty that includes her, the confidence to trust her intuition, healthy relationships and healthy boundaries, a connection to the natural world around her, and a sense of her own Divinity. All activities and experiences are designed to engage the head, heart, hands, and spirit. 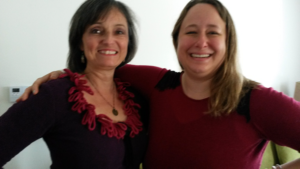 I am a certified Journey of Young Women coach through Katherine Krueger’s program. I also have over 20 years experience teaching elementary school. I speak to groups on topics that include creativity as a portal to self-discovery, the meaning of “Come Home to Your Self” and why it’s a journey of LOVE, our experience as a Divine Elemental Being, and intuition as the guiding light for living the life you want to live. Artwork is available for purchase. Contact me for information or to commission a piece.